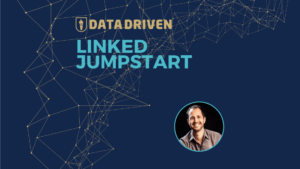 “Found you via Company Page” means someone viewed a company page on Linkedin, saw your profile somewhere on that page, clicked, and then viewed your profile. This is something you’ll see on the “Who’s Viewed My Profile” section of Linkedin, and it will look like the screenshot below. 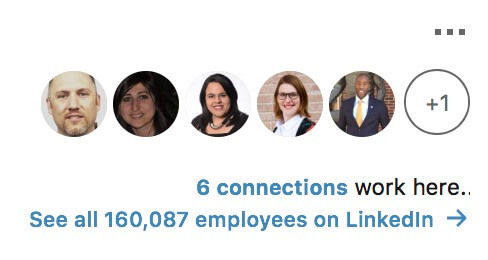 If you don’t work for a large company, you probably won’t see this “found you via” label in your profile views very often. 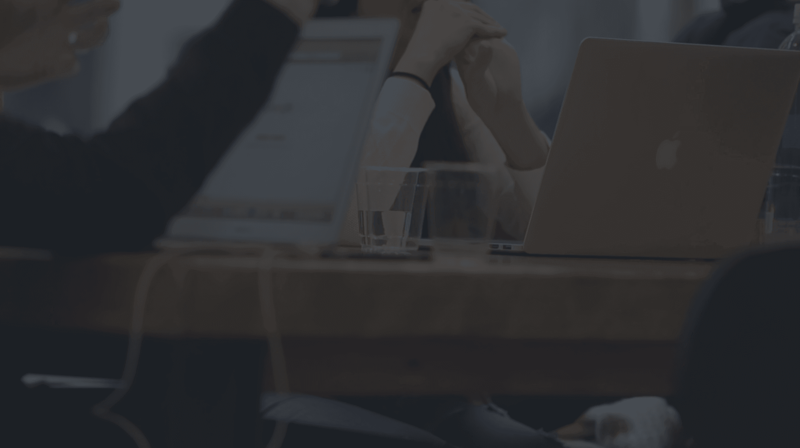 Small companies don’t get many page views – even if they do share a lot of content. 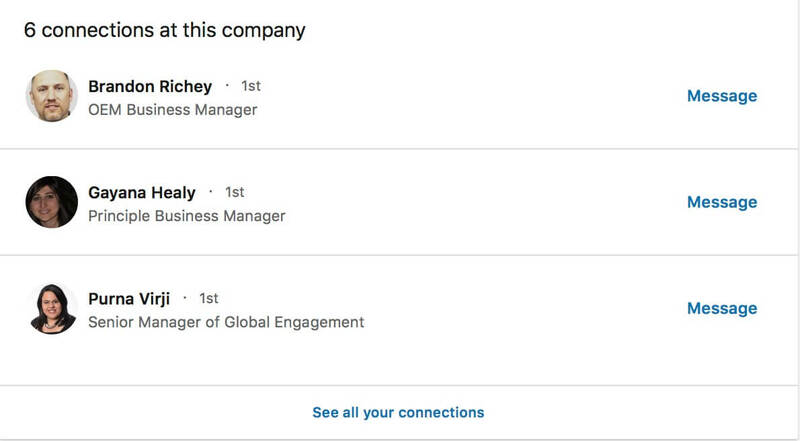 Where is my profile displayed on a Linkedin company page? 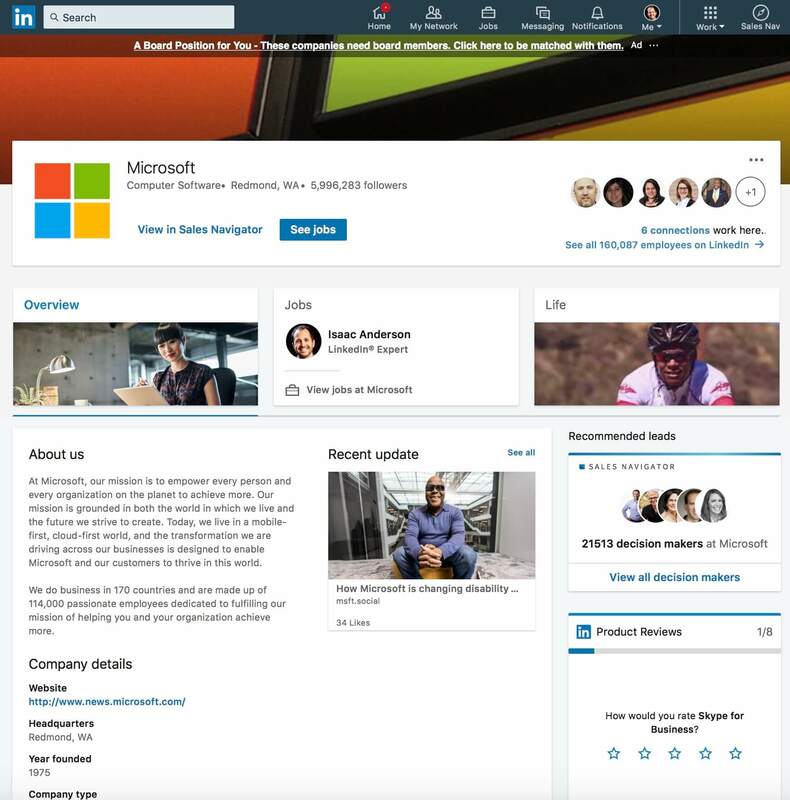 There are a number of places profiles are displayed on company pages. 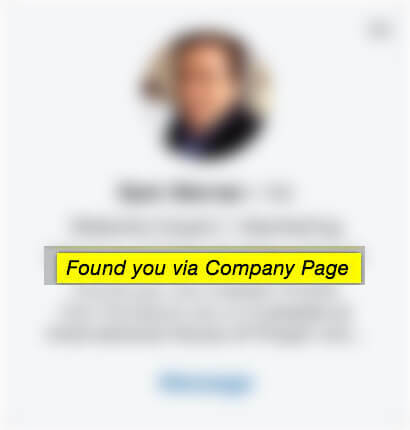 If at any point someone sees your profile and clicks it you’ll receive the “found you via company page” label. 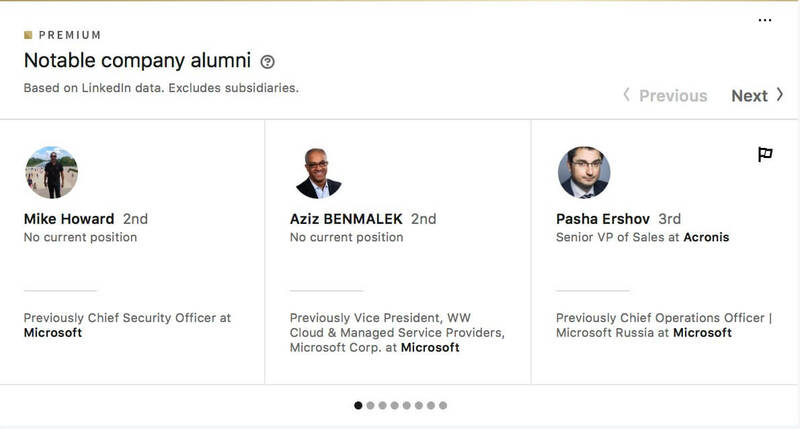 Here’s an example of Microsoft’s company page and the different places profiles are displayed throughout. If you’re curious and they look like it’s worth the conversation, just ask. Beyond that there’s no way to know their intent if they haven’t taken any action to speak with you.